Are these the Cheapest Magnetic Wireless Earphones? 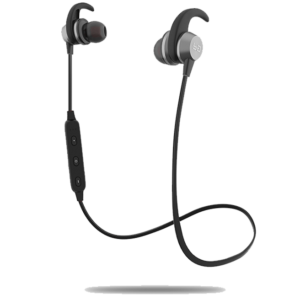 Would you believe me if I tell you that you can buy a wireless bluetooth earphones with workout ready and magnetic straps, which will cost you around Rs.500? 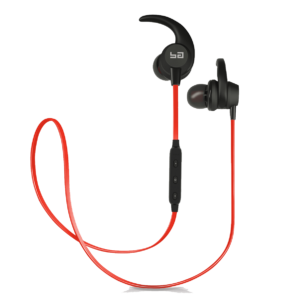 You may not believe me, but I have a great pair of wireless earphone that just costs 699* INR. 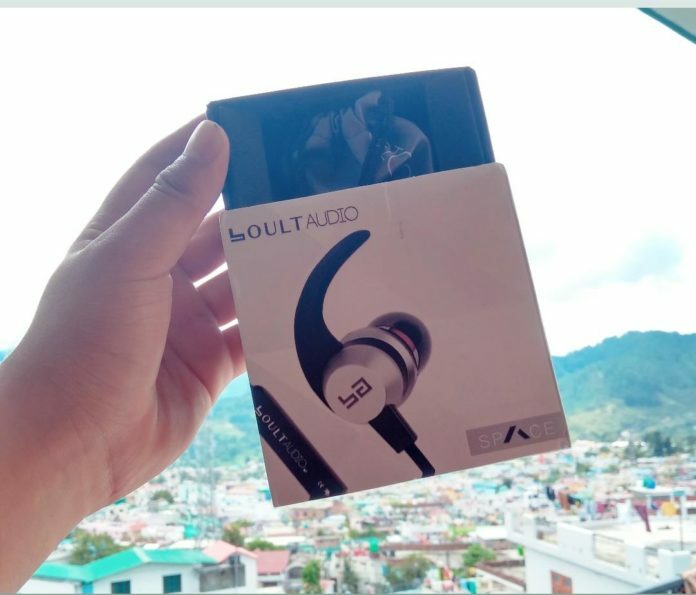 With all the above loaded specifications.These are the Boult Audio Space which originally costs for 3330 INR but is sold in Myntra and Flipkart for only 699* INR. Ready for iOS | Android | Window Tabs | Laptops and PCs. Black, Grey, Gold, and Red. However Black is a basic Matt variant, Red looks a bit pinkish whereas Gold looks Premium and nobody can differentiate to to be a 600 rupee wireless headphone or a costly one. 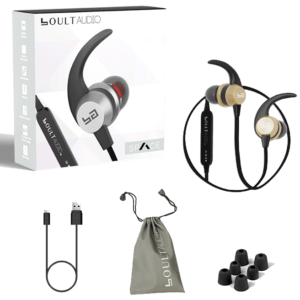 It comes with a nylon Pouch and extra ear buds for small,medium and large sizes. The pouch again looks Premium and is not easy to face wear and tear. There is no neckband hanging around your neck just plain simple two earplugs connected by a string. After using them for sometime you will get addicted to the freedom. Earpiece might feel a bit heavy in start. The shape of earplugs is designed to fit your ears with ease. They are a bit tilted at the end to slide in and not fall out. And don’t forget the breathable earfins and silicone earbuds. I was able to use them within a range of 6-7 meters. After putting the laptop in my study running with top songs on youtube , they sounded clear in the next room on my comfortable recliner sofa. It is not perfect with music off , but if you turn on music then you won’t hear much outside noise. You can get lost in your own world and enjoy that freedom. Just try them with your most played songs and you won’t be disappointed. The guys from Boult understand that it is the sound quality we need the most in our music equipment. For bass testing I had to hear a song that I was familiar with and which projects clear beats with soft background music. So I tested them with Enrique’s “Why Not Me” and the beats sounded crystal clear. After charging for around 1-2 hours (not using while charging) , I was able to enjoy good music for 5-6 hours. The charging USB cable provided is also long enough , so later I could work on my laptop and listen music , while charging them. That headphone icon has a vertical earphone battery indicator adjacent to it inside the red circle. This helps in monitoring the the juice left. I really like this feature , It’s quite rare for even high end earphones. After talking to a lot of people on call , they weren’t able to notice any difference in my regular voice. So I am guessing they transferred my clear voice to the other person without any lags. The “on” button comes in handy for receiving and rejecting calls. 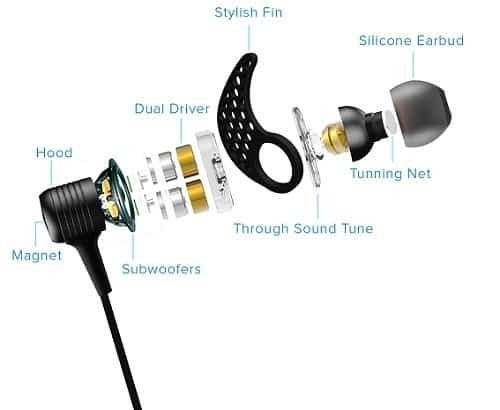 This is one of the strong suits of these well built earphones. You can really feel the weight and solid built of earpieces in your hands. While the finish is smooth and design is robust , they might have scored pretty good in built quality. 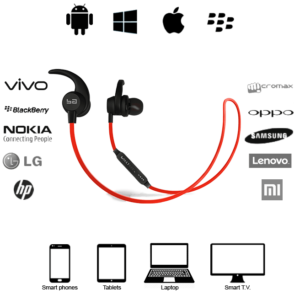 1 year warranty applicable , just send them the defective earphone back and they will supply you with a new one. What an update @Techburner. Who is this guy? Your writer team is increasing incredibly.